Toy? Blanket? Both! 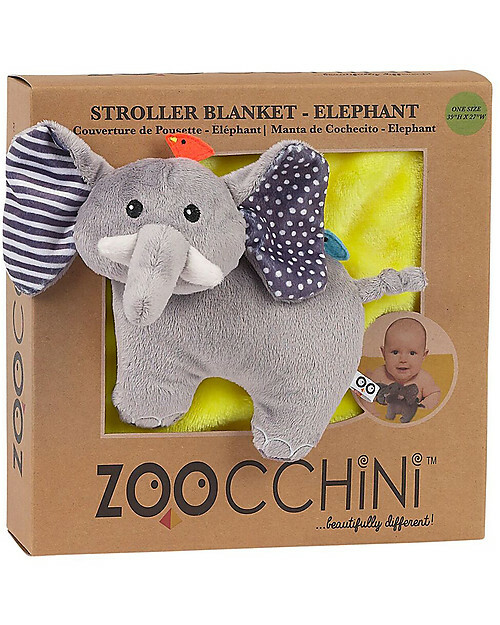 Signed by the US brand Zoocchini this 2-in-1 blanket is embellished by a lovely attached animal toy: your baby will love it! 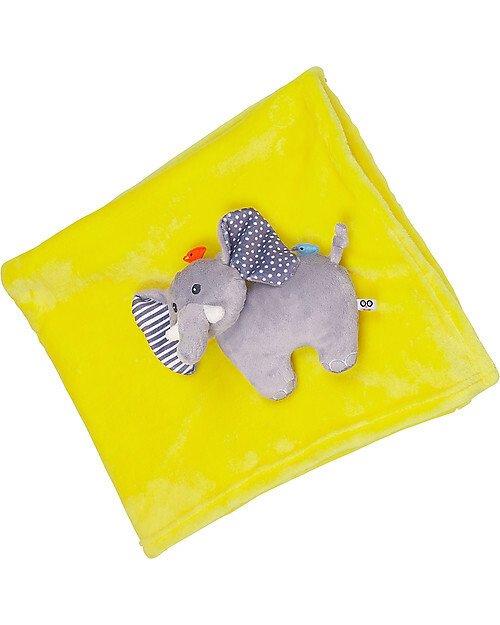 Suitable from birth, this fleece blanket is warm and safe: use it in the stroller or bed or as a playmat and anything you can think of! It comes in a quirky, eco-friendly gift box: the perfect gift idea! Bold colours, original shapes, and care for little details: everything is special in a Zoocchini item! 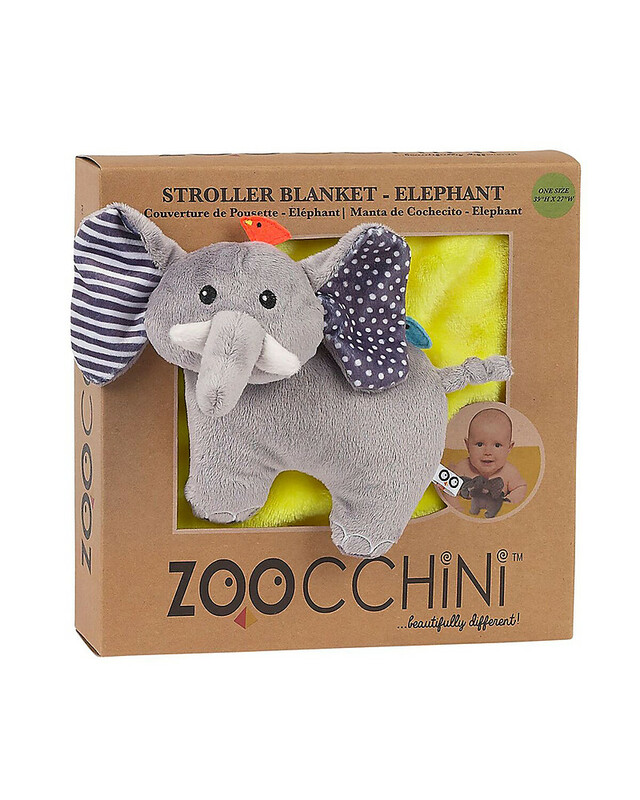 No matter which product you pick up: all Zoocchini’s items are there to brighten up your day with happiness! Zoocchini only uses the best raw materials. All products are free from BPA, phthalates, lead, and meet or exceed all safety standards. 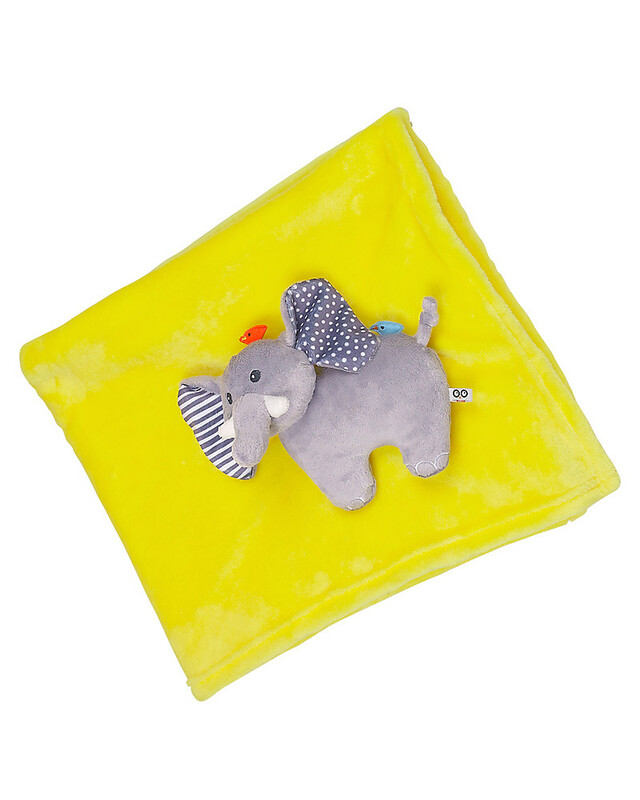 The eco-friendly and funny packaging makes each product ideal for a quirky and amazing gift idea!